Larkin Square Rules for Enjoyment! St. Patrick’s Day weekend starts at Larkin Square! 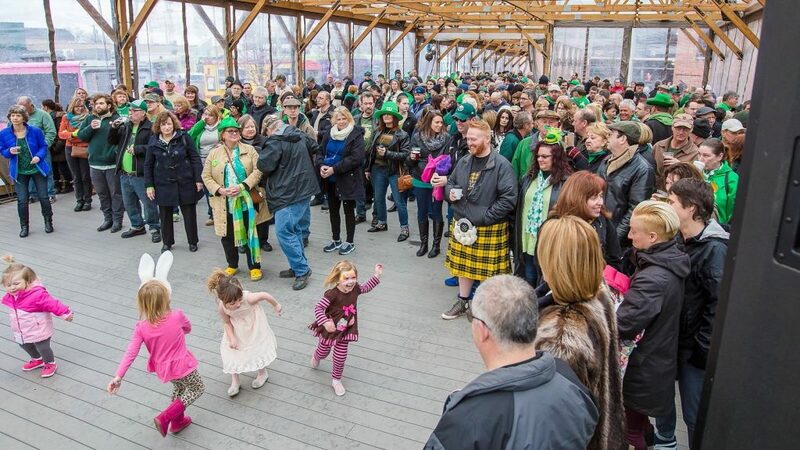 Join us from 5-8pm for live music by McCarthyizm, Crikwater, and Greater Buffalo Firefighters Pipes and Drums, plus Irish dancing with Clann Na Cara Irish Dance. Food trucks, craft beer, hot beverages and Irish fare from The Filling Station will be available. This event is free to attend thanks to KeyBank and Independent Health. Free parking will be available in the ramp located behind Larkin Square, with entrances off Hydraulic Street and Van Rensselaer Street. Handicap parking is available in the lot off Emslie Street, across from Larkin Square. 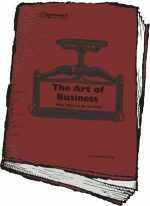 The Larkin Square Author Series welcomes you to a talk and book signing with Ari Weinzweig, CEO of Zingerman’s Community of Businesses, headquartered in Ann Arbor, Michigan. Joining Ari in conversation will be Tim Bartlett, general manager of the Lexington COOP. The free event will be held on Tuesday, March 19th, 5:30 pm – 6:45 pm in the Filling Station in Larkin Square, 745 Seneca Street in Buffalo. Parking is free. You may park in Larkin Square, behind the Swan Street Diner or in the lot off of Emslie Street next to the Hydraulic Hearth. Talking Leaves will be selling copies of Weinzweig’s books. Make an evening of it and enjoy dinner across the street from Larkin Square before or after the talk at the Hydraulic Hearth. Tim Bartlett and the team at the Lexington COOP have worked with Zingerman’s through their ZingTrain program to fine tune their best business practices. This is a great talk for anyone interested in food, small business, entrepreneurship, leadership, creativity, the arts, writing and making books. 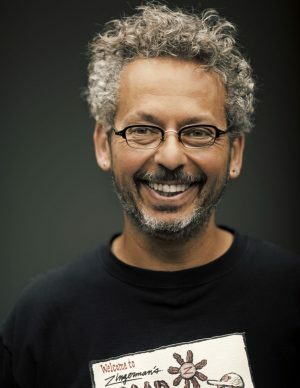 Ari Weinzweig is CEO and co-founding partner of Zingerman’s Community of Businesses, which includes Zingerman’s Delicatessen, Bakehouse, Creamery, Catering, Mail Order, ZingTrain, Coffee Company, Roadhouse, Candy Manufactory, Events at Cornman Farms. And the newest business, Miss Kim, which serves great tasting Korean fare. Zingerman’s produces and sells all sorts of full flavored, traditional foods in its home of Ann Arbor, Michigan to the tune of $60,000,000 a year in annual sales. Ari was recognized as one of the “Who’s Who of Food & Beverage in America” by the 2006 James Beard Foundation and has awarded a Bon Appetit Lifetime Achievement Award among many recognitions. For a deeper dive into creativity and leadership, Ari, along with a full roster of interesting speakers, will be presenting the following day, March 20th, 2019, at Awaken 2019, a conference presented in conjunction with the grand opening of the Buffalo Center for Cultural Innovation. 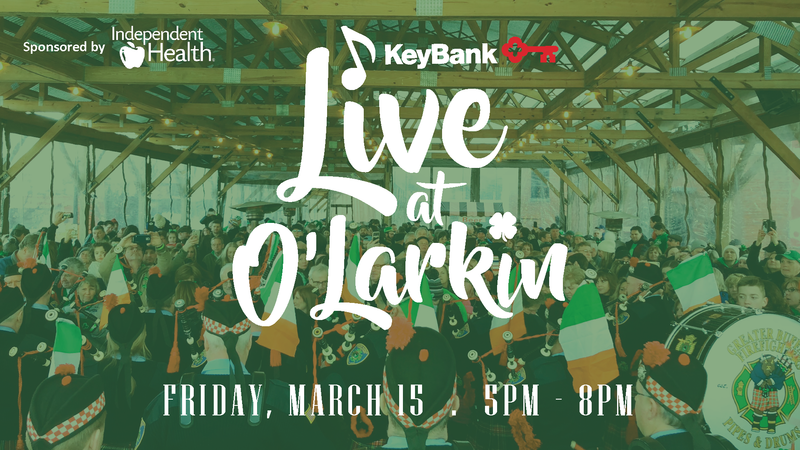 Larkin Square Events, including the author talks, are presented by KeyBank and sponsored by Independent Health. They are free and open to the public. 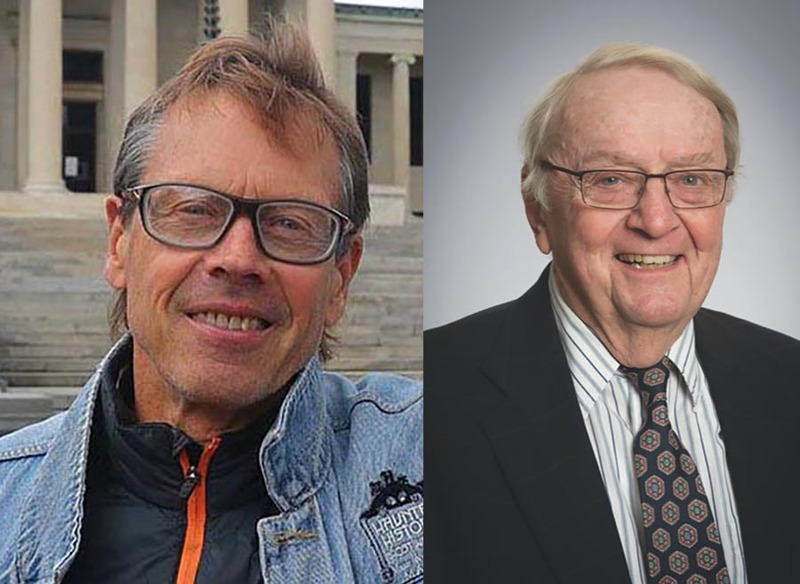 The Larkin Square Author Series is pleased to welcome two acclaimed local authors, Mason Winfield and Daniel Starr, for an evening of stories, book sales and signings. Join us Wednesday, February 20th, 2019 at 5:30 pm for this free event in the Filling Station in Larkin Square. Mason Winfield is well known for his popular ghost walks in various locations around Western New York. 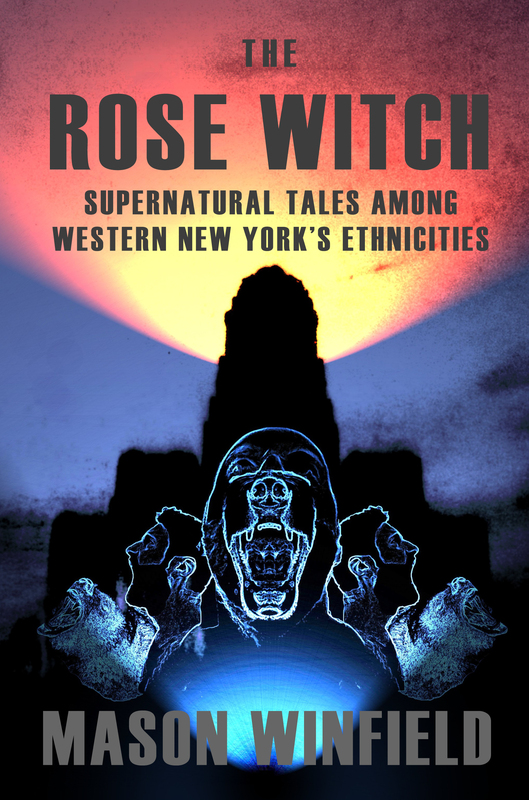 He is also the author of numerous books filled with ghost stories and local lore and legends. Mason will be sharing a story from his newest book, The Rose Witch: Supernatural Tales Among Western New York Ethnicities. 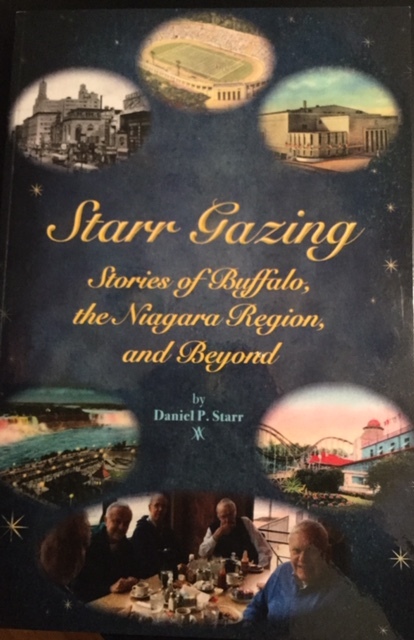 Daniel Starr, professor emeritus of Canisius College and life-long Buffalonian, also writes stories set in Western New York. For the past decade, Starr has written the popular Starr Gazing column for the publication Over 50. The column is the inspiration for his book, Starr Gazing. Daniel will share some of his stories at the the talk. Both authors’ books will be available for purchase at the event through Talking Leaves. The Filling Station will have refreshments and snacks available for purchase. The Hydraulic Hearth, across the street from Larkin Square is open before and after the book event. 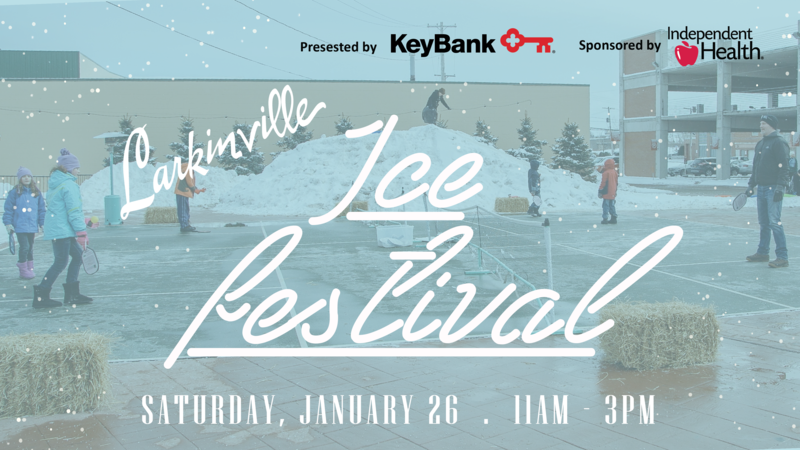 Bundle up and head to Larkinville on Saturday, January 26th! Ice Fest is back with special programming at businesses along Seneca Street including Larkin Square, The Filling Station, Hydraulic Hearth, Swan Street Diner, Buffalo Distilling Co., Flying Bison Brewing Company, Larkin Center of Commerce, Eckl’s at Larkin and Kornerstone Cafe Larkin. – HYDRAULIC HEARTH: Bavarian Winterfest at Hydraulic Hearth — complete with German food & music. – SWAN STREET DINER: Open 7am – 3pm with special Ice Fest Deals. – FLYING BISON / BUFFALO DISTILLING: 6th Annual Buffalo Groundhog Day! Pro tip: purchase your tickets NOW, drink tickets included, plus five bands throughout the day at both venues. 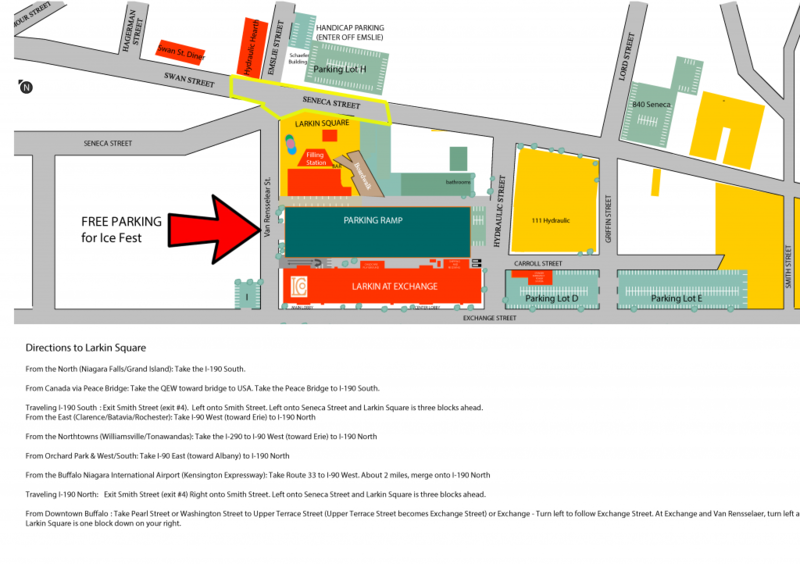 – LARKIN CENTER OF COMMERCE: Take a horse drawn carriage ride down Seneca St.! Or stop by Eckl’s at Larkin for a beef on weck. 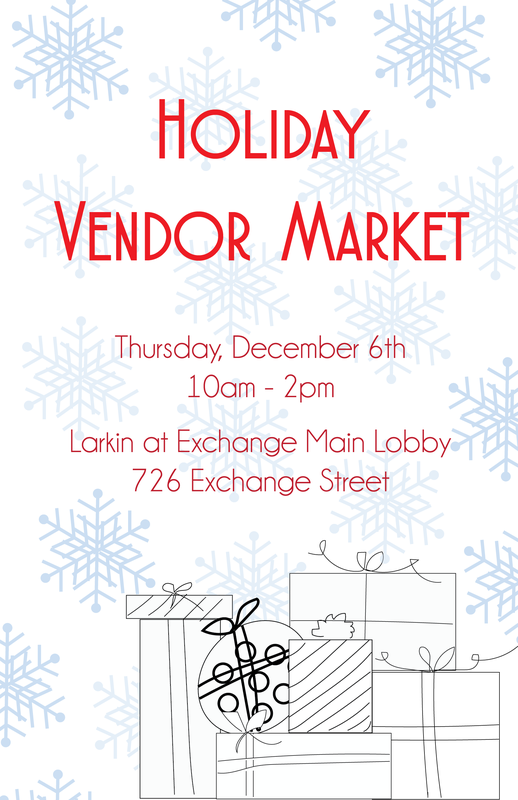 Stop by the Larkin at Exchange Building (726 Exchange Street) on Thursday, December 6 from 10am – 2pm to shop our Holiday Vendor Market. 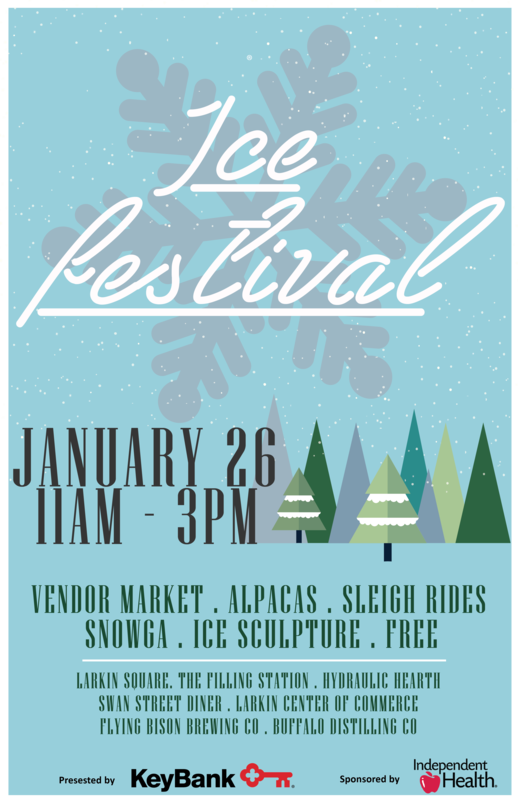 Get ready for the Holidays with some amazing vendors (complete list below)! If you are coming to the market from outside Larkinville, you are welcome to park in the Visitors Lot on Exchange Street or in the Lot next to the Hydraulic Hearth. Make a day of it and stop by the Filling Station or Swan Street Diner for lunch before or after shopping! Larkin Square is perfect for weddings, corporate events, parties and happy hours. Book today!